We will get together on the 2nd Thursday at 7:00pm at the shop. It is not mandatory to come to "meetings". 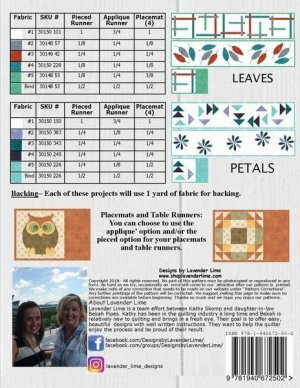 You can choose each month to do the pieced or the appliqued runner. Get both and get a backing free that month! You will have to purchase the book prior to starting. I will email participants prior to making kits to find out which you'd like for that month. If there is a month you'd like to skip- then you can. 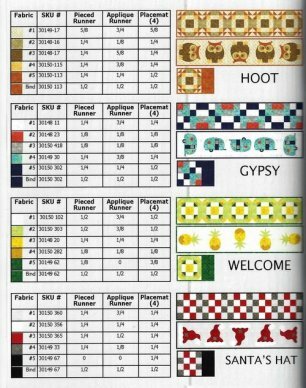 The runners will be very similar to what is pictured in the book for fabric choices. 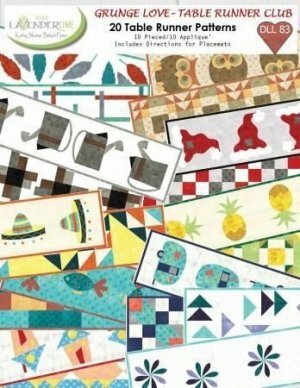 The book contains 10 pieced runners, 10 appliqued runners, and placemats to match. We will have kits available for each project to purchase. 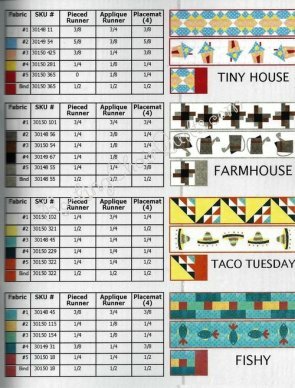 The kit will contain the pattern card. You do not have to do all 6! You can choose the ones you want to do! Please register so we can plan accordingly. These are for experienced sewers and beginners! 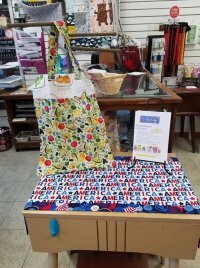 Kids welcome- under age 12, or with no sewing experience must come with an adult. Bring your machine or check to see if we have a rental available. These are our first 2 projects!